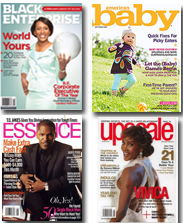 As African-American parents, we need to do all we can to encourage good eating habits in our children to prevent diseases such as heart disease and diabetes, among others from claiming a negative hold on their lives as well as ours. Although eating healthy may put a small dent in our pocketbook, it’s imperative that we determine which is more costly: eating fresh fruits and vegetables, lean meat and whole grains, or spending a lifetime purchasing medication and seeing doctors? It’s our choice as parents. 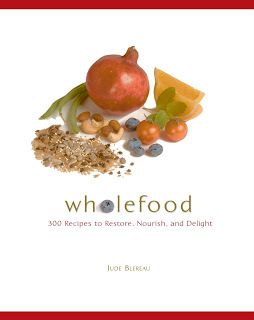 In May, Jude Blereau will introduce Wholefood: 300 Recipes to Restore, Nourish, and Delight (Running Press), an exciting book that introduces readers to the fundamentals of whole food cooking and an easy approach to a healthier lifestyle. The 334-page book presents an uncomplicated entry into the world of whole food – foods that are kept as close to their natural state as possible – with tips, techniques and recommendations for home cooks to incorporate basic whole foods into everyday life. So much of today’s food is manufactured and over processed, which depletes it of nutrients and deprives it of flavor. More often than not, highly processed food is also loaded with refined sugars and dangerous fats to replace its lost flavor. Whole foods, on the other hand, are full of natural nutrients that provide fuel for our bodies and minds. They taste better too!